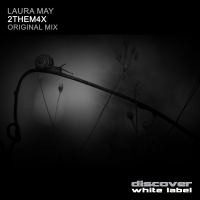 Laura May returns to Discover with at typically excellent production. 2them4x is an off beat tech trancer which oozes class with as it moves through the gears with stabs, cool fx and production trickery that open up to a lush trance breakdown that lifts it into peak time orbit. Superb stuff from Laura May. '2them4x' is available now from Beatport and iTunes.